This Ford 1962 Thunderbird Roadster was and still is considered one of the most futuristic-looking vehicles of all times. If you’ll be riding this on your very special day, what statement would it make about you? Surely, you’ll leave an awesome impression to everybody who’s watching as you step down from this totally fantastic car. We, at Exclusive Limousines offer you the chance to ride in this magnificent car to make your special day even more special. You need not look any further, we offer it to you at the most affordable rate ever. At Exclusive Limousines we deeply understand your unique needs for an amazing transport experience on your special event. Thus, it is our pleasure to offer you our line of luxurious and high class vehicles such as our classic collector vehicle, the 1962 Ford Thunderbird Roadster. What’s more, our luxury transport service comes with an experienced chauffer to make your transport experience even more meaningful and safe. Our Ford Thunderbird Roadster is best for weddings, school formals and any other special events that call for a touch of class and style. So, what are you waiting for? Get your fantastic and luxurious transport experience today. The 1962 Ford Thunderbird Roadster will add class and sophistication to weddings, school formals and debutante balls. It can also add glamour and style to any other special events that require a classic and elegant touch. 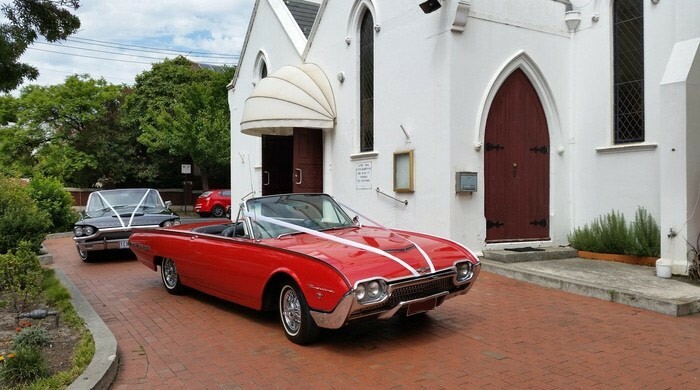 We can help make your special event’s transportation extraordinary and more elegant with our limited production model 1962 Ford Thunderbird Roadster without breaking the bank.